Big, bustling cities teeming with life and bright lights make fantastic places to visit, but small lesser-known villages often make even better ones. That being said, below is Road Affair online portal's list of the most beautiful villages around the world. In an interesting twist, one of the most beautiful villages around the world is a vamped up ’80s movie set. Abandoned not long after the filming of the 1980 musical Popeye which featured the late comedian Robin Williams, Popeye Village is now home to quaint, colorful clusters of wooden buildings, a company of actors and an array of fun activities to do. Watch shows, go on boat rides, explore the village, visit museums or go wine tasting while the kids romp at the playhouses. 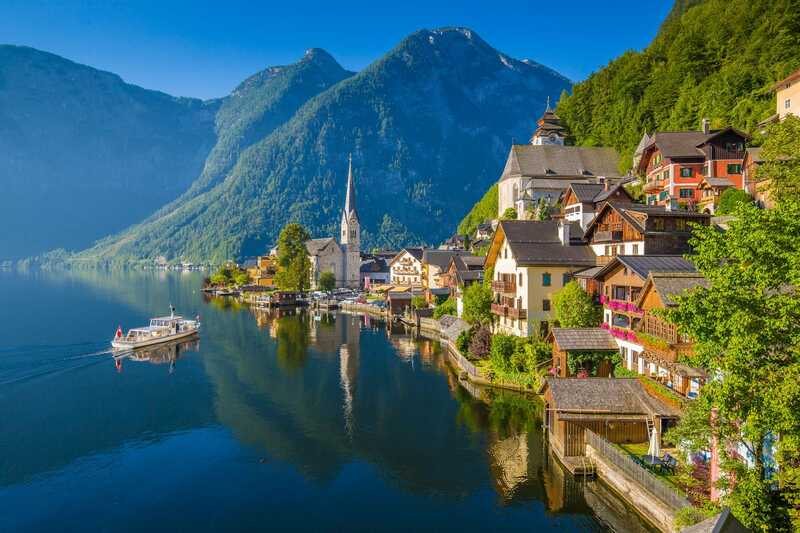 Nestled between Hallstätter See and the Dachstein mountains is Hallstatt, Austria’s oldest and perhaps its most photographed village. 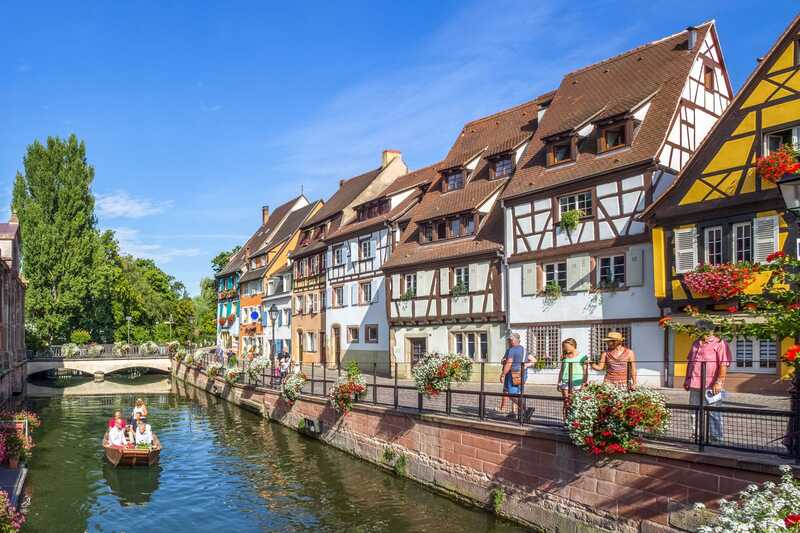 This stunning European town features beautiful old churches, a subterranean salt lake, a museum with 7,000 year old artifacts and a glass-like lake set against the breath-taking backdrop of soaring mountains. 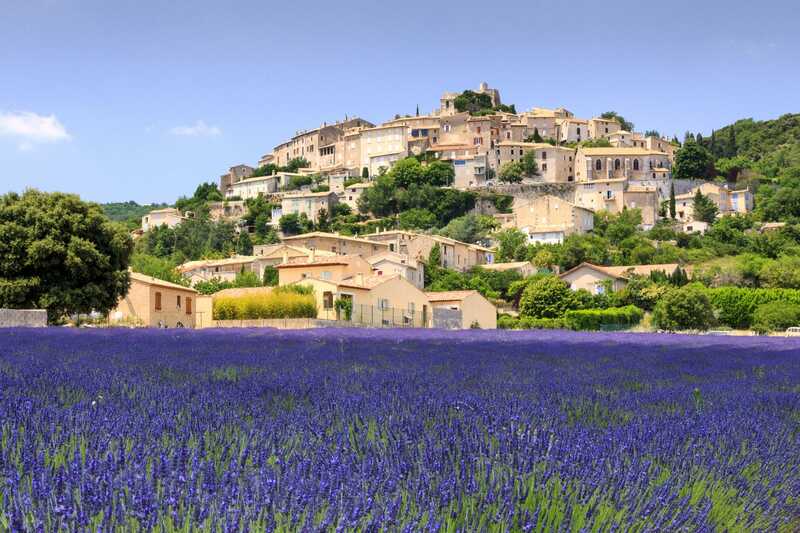 Located in the stunning south of France and surrounded by olive groves and lavender fields, this hilltop village is one of the most beautiful towns in the world. Explore the charming village, pass along narrow cobblestone streets and stone houses, admire the centuries old architecture, attend talks on aromatherapy, tour the medieval castle and enjoy the scents and colors from the numerous flowers in the nearby Abbey of Valsaintes garden. 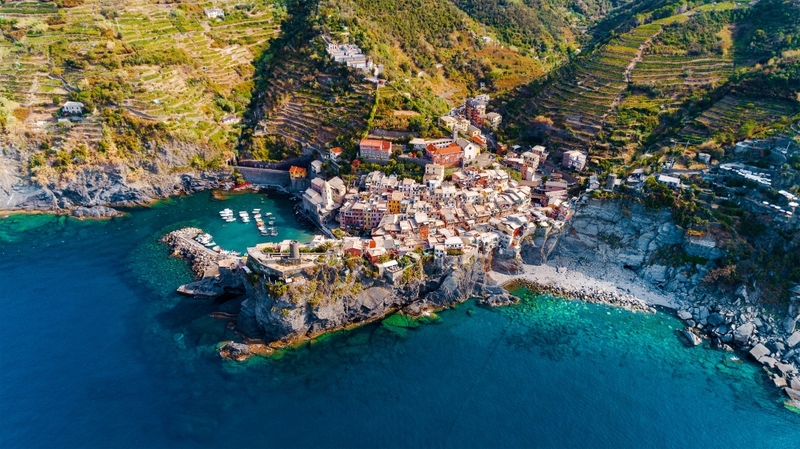 Cinque Terre means ‘Five Lands’ in English and is the collective name given to five different fishing villages that each boast stunning coastal and mountain trails as well as beautiful, classic architecture. 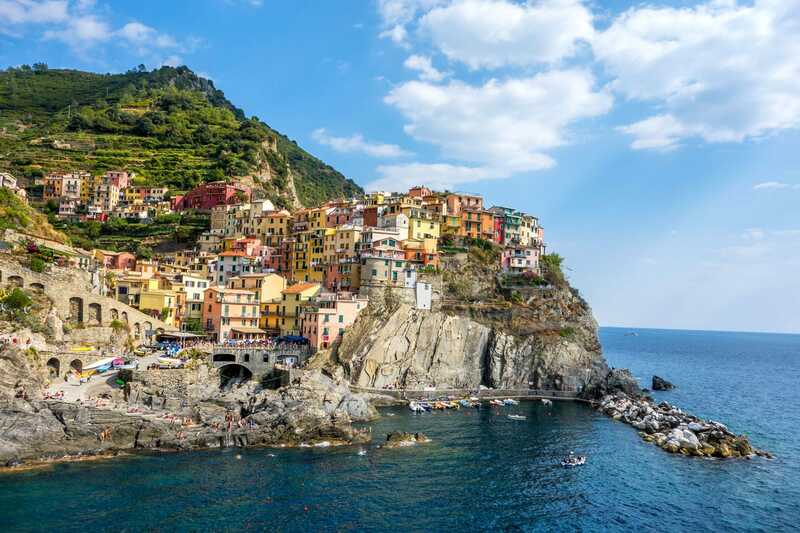 Cinque Terre offers timeless appeal and a feel of authentic Italy with its rugged coastlines and romantic town area. 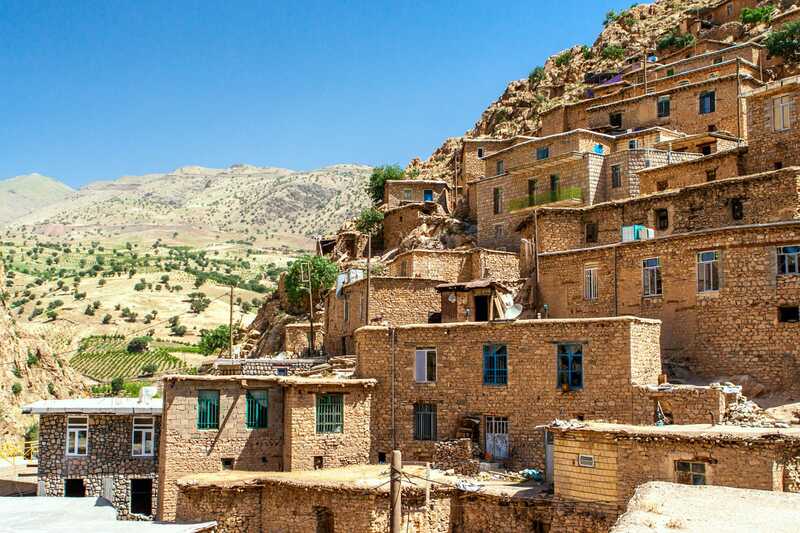 Despite its central location Ortahisar has managed to remain largely traditional and mostly slow-paced. Even as surrounding towns increasingly become more and more touristic, Ortahisar remains rustic and charming. 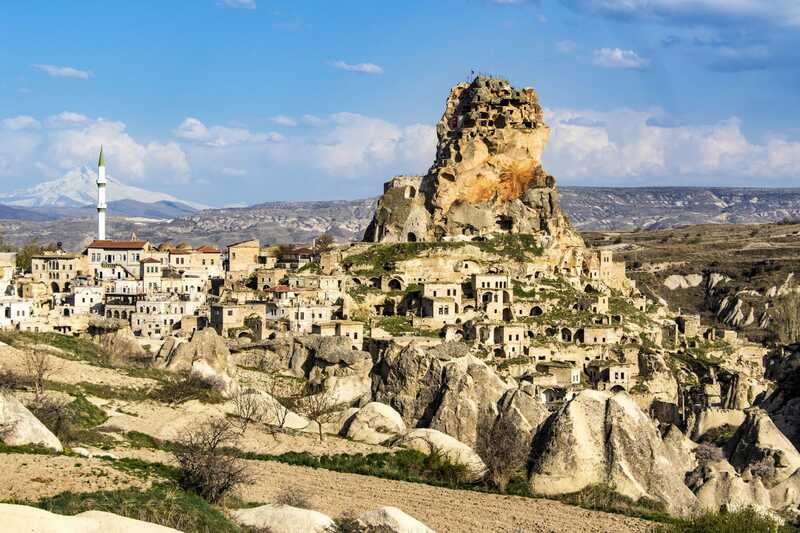 Have a drink and a meal in an underground cave bar, marvel at Ortahisar’s looming 78 meter high castle carved from stone and learn more about the underground cave storage where citrus fruits are stashed until they ripen. 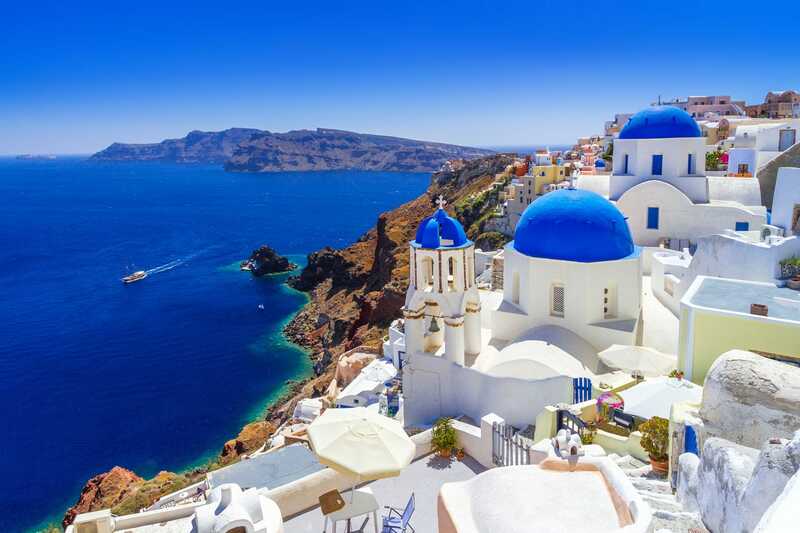 Oia is a traditional village with beautiful blue domed churches, sun-bathed verandas, a number of art galleries, and maze of small shops, almost all with panoramic views of the port Ammoudi and of the Santorini volcano. Oia is without a doubt one of the most beautiful towns in the world. 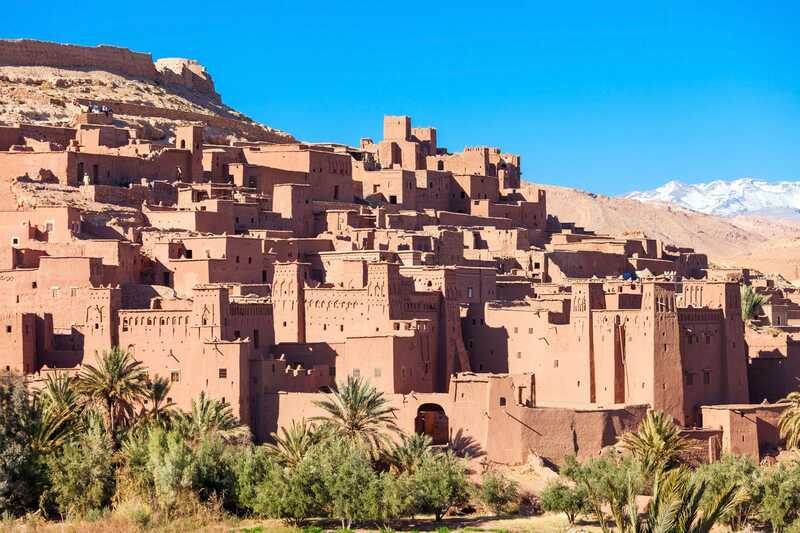 Ait-Ben-Haddou is a traditional southern Morocco earthen village made from clay bricks. The village lies in a valley near the the Atlas Mountains, thirty-two miles from the bustling film capital of Morocco. Historically, traders traversed the Sahara Trade Route and passed through the town carrying spices and gold on their way elsewhere. As the use of this established trade route faded, many Kasbahs (fortresses) in Ait-Ben-Haddou were abandoned and have since become preserved relics. 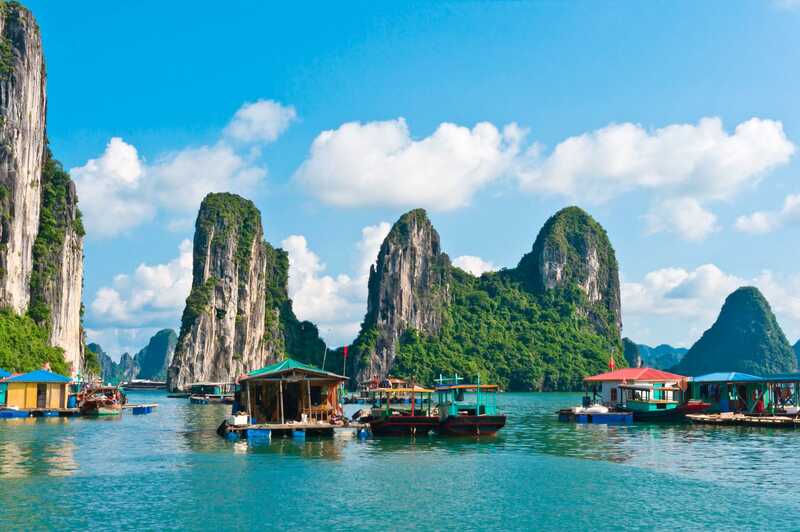 Charming and enchanting, Ha Long Bay is famous for its natural beauty. Cua Van is just one of the fishing villages along Ha Long Bay but is believed to be its most popular spot. Situated on an emerald green bay surrounded by mountains is the serene Cua Van, home to beautiful and exotic marine life, caves and grottoes perfect for exploring, and a vibrant village culture. 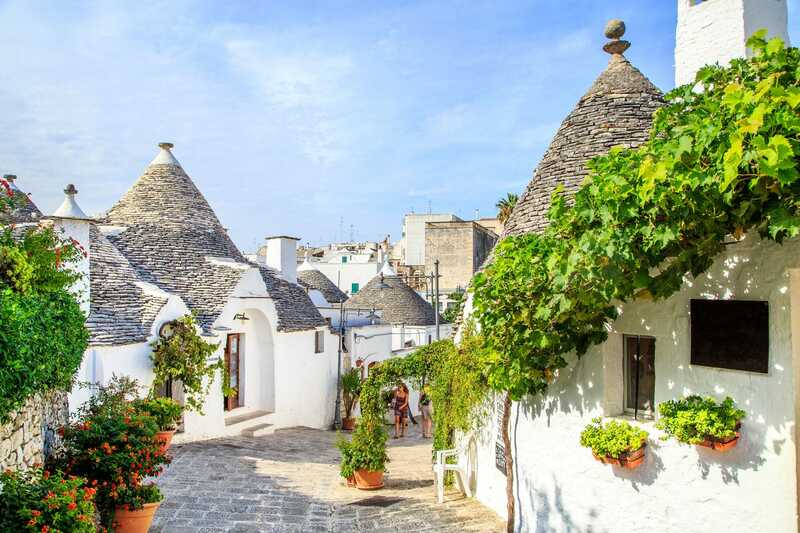 Alberobello is a quiet Italian town most famous for its whimsical 14th century style beehive-shaped houses. 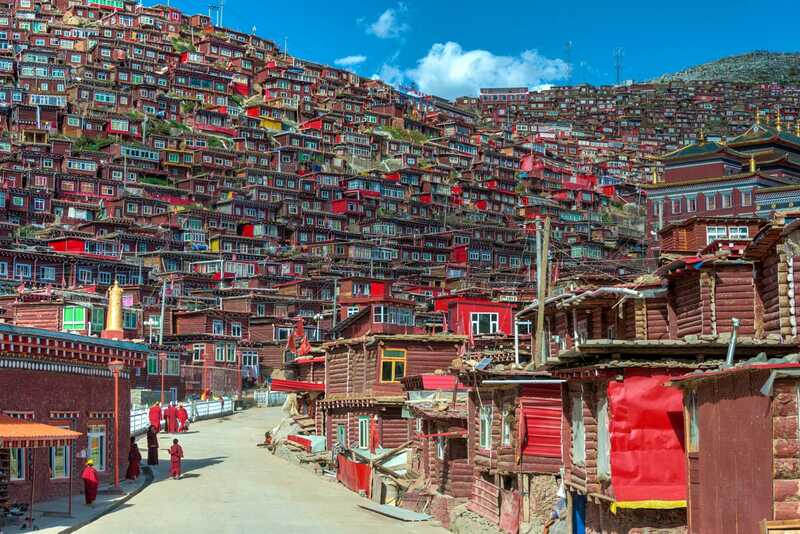 These stone buildings are made from local limestone and topped with conical roofs, often white-tipped as if dusted by snow and decorated with painted symbols believed to bear religious or superstitious significance. There are also a handful of small museums and opportunities for purchasing and trying local foods. Alberobello is a great little village for a day trip. Nestled in the hills of Andalusia is Júzcar, a quiet town in Spain previously known as a ‘pueblo blanco’ for its whitewashed walls. In 2011, Sony struck an agreement with the village’s leaders to have the town painted blue and dubbed ‘The Smurf Village’ as part of promotion for its then upcoming Smurfs movie. 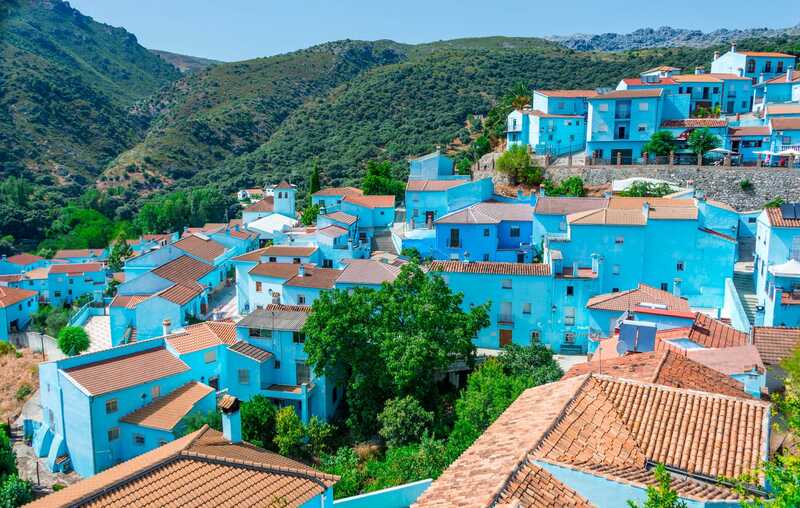 Since then Júzcar’s walls have all remained bright and cheery Smurf blue even as village life there remains largely the same, and Júzcar is still a sedate quaint little village. 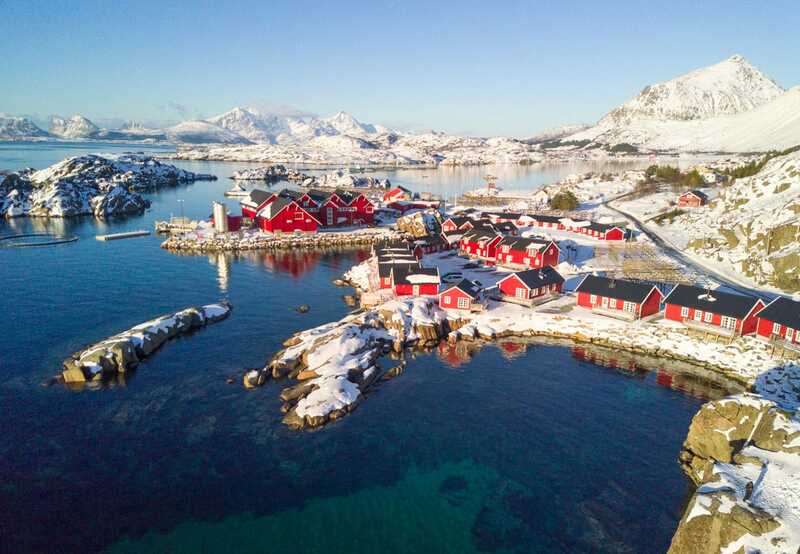 With an estimated population of 300 villagers, Reine is one of those small towns that no one knows about. Perfectly situated at the mouth of Reinefjord, near the insanely beautiful Loften peaks is the quiet, picturesque fishing village Reine. Go to Reine to enjoy the famed, stunning northern lights and stay and enjoy life in the laidback rural fishing village. Stay in a rorbu (a converted, old fisherman’s cottage), go whale watching and fishing as the locals do or camp out under the stars, go biking, kayaking or bird watching and truly connect with nature. The idyllic, thriving metropolis town of Sidi Bou Said is located atop a steep cliff overlooking the Mediterranean Sea. 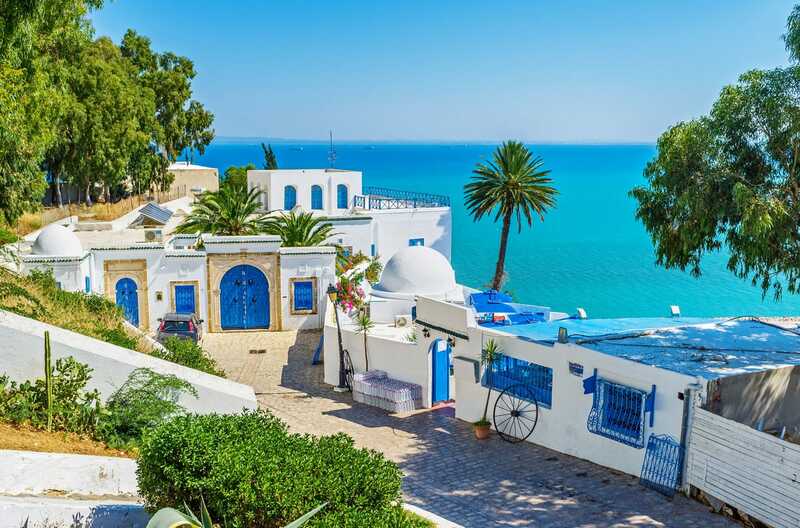 Twenty kilometers or so from the capital city Tunis, Sidi Bou Said is a favored getaway destination for locals and tourists alike. Stroll along cobblestone streets lined with small shops and stalls, explore winding lanes, soak in the stunning panoramic view of the Mediterranean Sea, visit the Ennejma Ezzahra palace which pays homage to Neo-Moorish architecture, and enjoy the brilliant contrast of the town’s blue-painted doors and trellises with the stark white of their Grecian buildings. 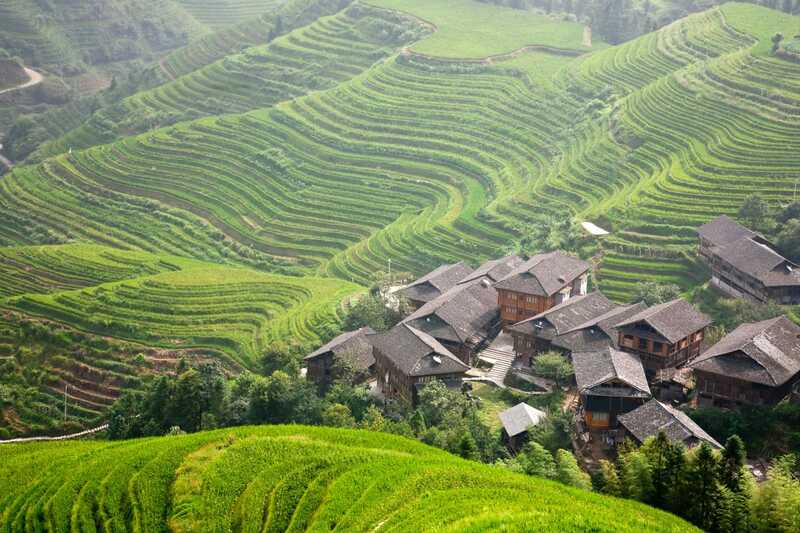 Ping’an Village rests atop the peak of Longsheng County’s famous Longji rice terraces, 1200 meters above sea-level. 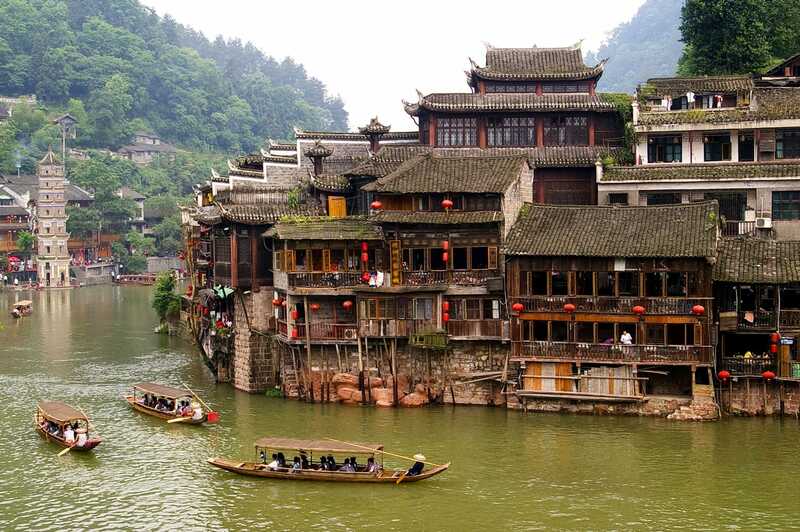 Ping’an is a small community of rice farmers where old traditions and local culture are apparent and thriving. Scenic narrow mountain roads leading to the peak offer a splendid view of the amazingly vast rice fields whose different terrace levels are nicknamed by locals according to their varying shapes. 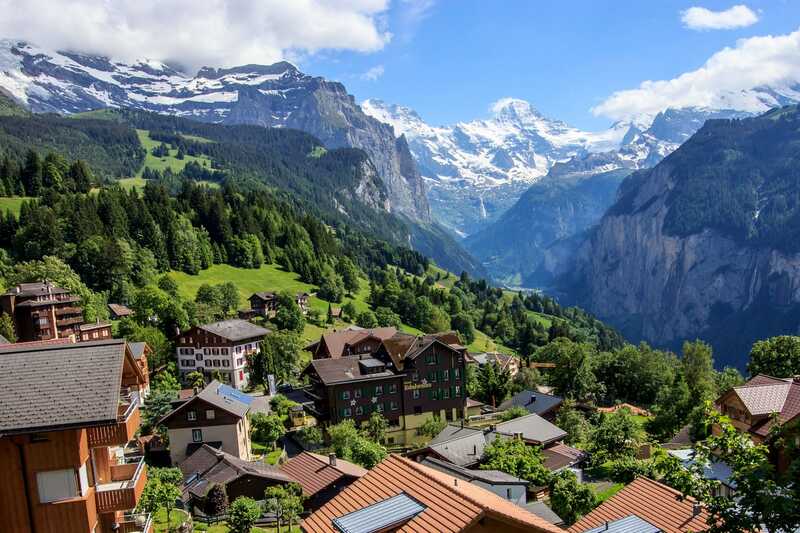 Wengen was once primarily an alpine farming community but has since become a resort town teeming with tourists eager to ski the snow-covered slopes in the Winter and hike trails in the Summer. 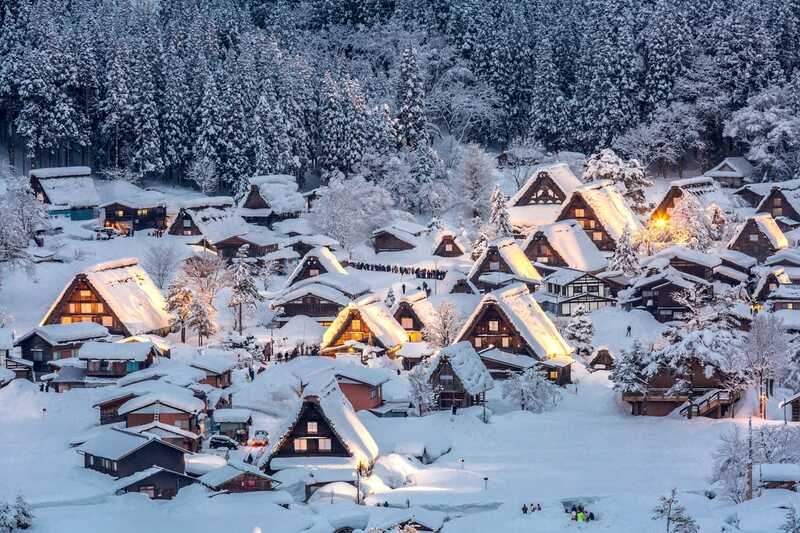 Despite the influx of tourists the mountain village has retained it’s homestyle, postcard vibe with its timber houses, well dispersed holiday chalets, soaring mountains and magnificent landscape. 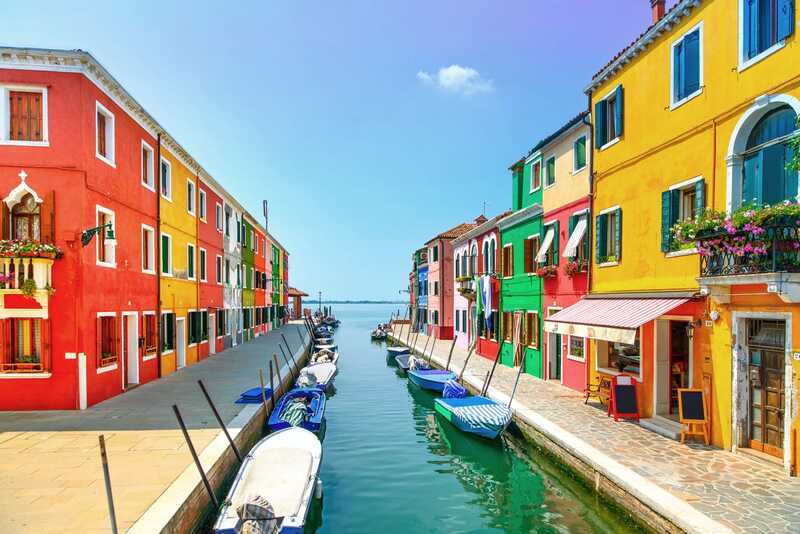 Burano, the little island of lace, is ranked as one of the most colorful cities in the world. With colors that pop, Burano brings an almost tropical vibe to the Northern Venetian Lagoon.This small island and its single city features emerald green water channels, charming houses, a 17th century bell tower and the lacemaking expertise that brought Leonardo da Vinci to the island in the 1400s. 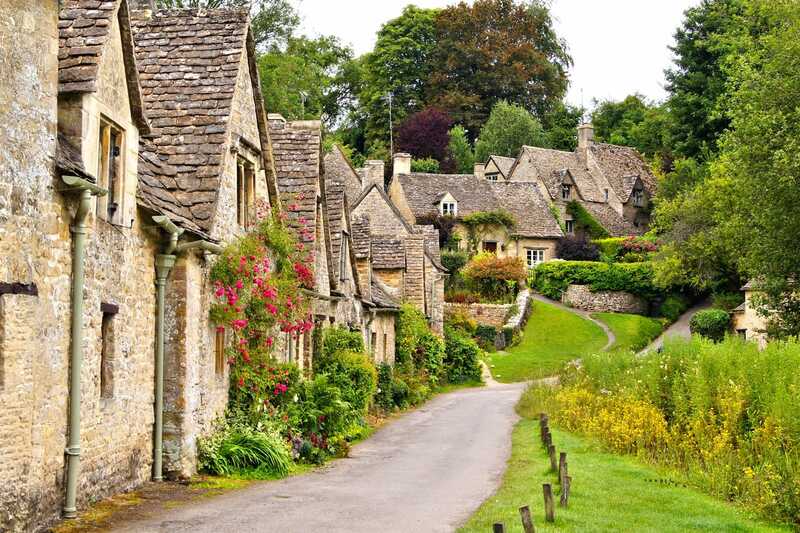 Easily one of the most beautiful small towns in Europe, is Bibury, a little town in Gloucestershire Cotswolds. Bibury consists of stone buildings all strung out along the banks of the River Coln, and is most famous for Arlington Row, a picturesque row of weavers’ cottages believed to date back to the 14th or 16th century before its conversion in the 17th century. Arlington Row overlooks a meadow and river and is featured in the UK passport. 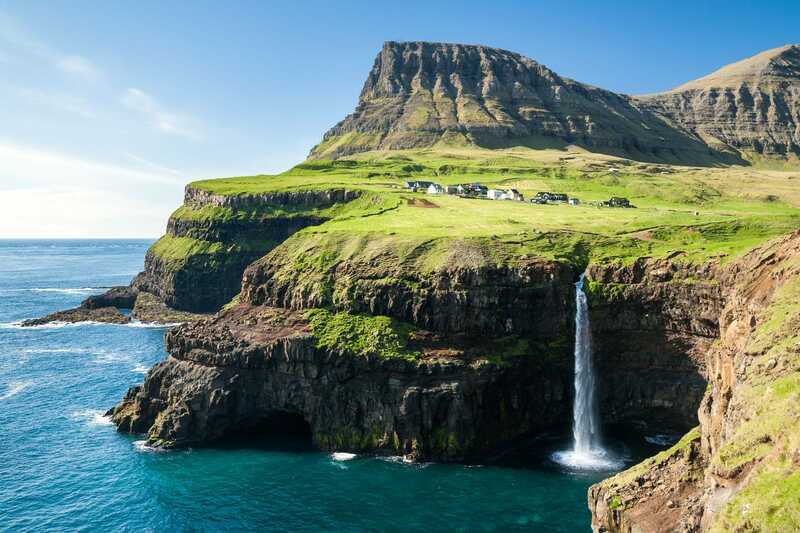 Lush, rolling green fields, a dramatically steep cliffside, a panoramic view of the neighbouring island of Mykines, as well as the famed rushing Mulafossur Waterfall characterize the pastoral village of Gásadalur, located in western Vagar in the Faroe Islands. Up until 2003 the scenic pastoral village was virtually unknown and unreachable. In 2002 the village population was less than 20, but with the creation of tunnel road for cars and vehicles in 2004 Gásadalur Village has seen an increase in population and in tourist visits. Hobbiton, New Zealand is the movie set town featured in The Lord of The Rings and The Hobbit. Though the initial plan was to construct temporary sets to be knocked down once filming wrapped, a permanent set was eventually established and remains today. 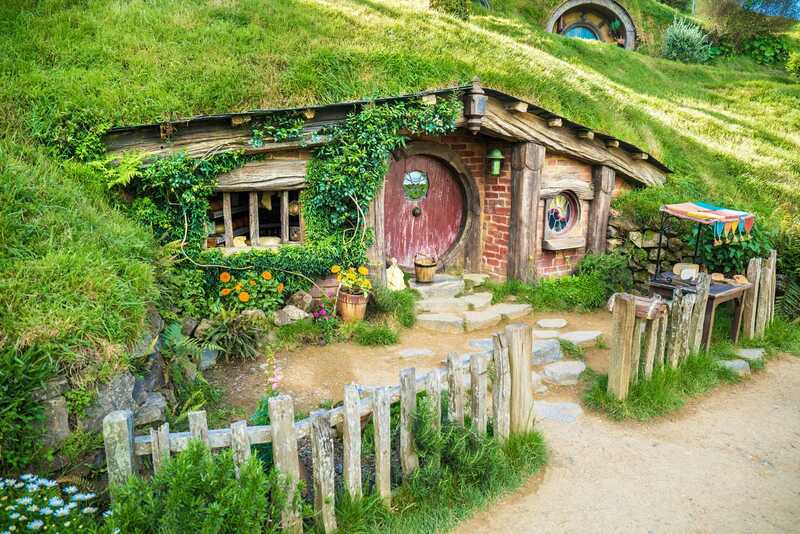 Tour the unbelievably charming set town – grassy green fields, hobbit holes and all. 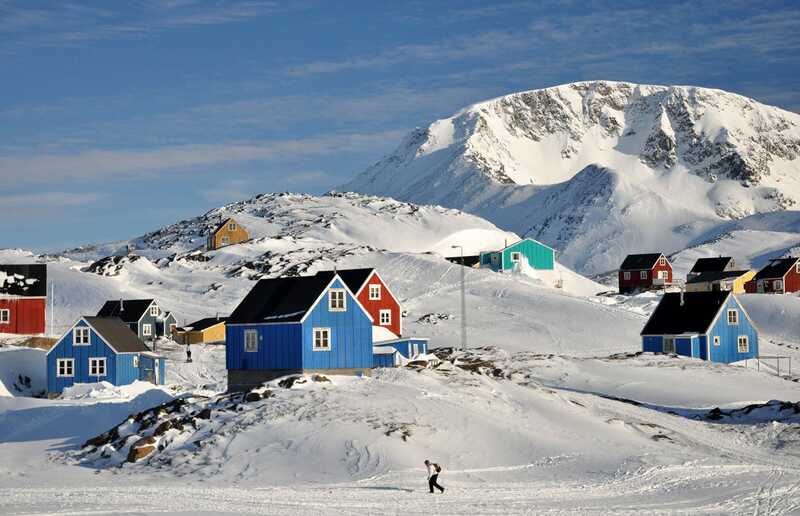 Qasigiannguit, Greenland is something of a forgotten paradise and another one of those small towns that no one knows about. Beautifully situated in the Disko Bay, surrounded by high and steep mountains rising to about 450 meters, Qasigiannguit is named ‘Spotted Seals’ for the marine life in the bay. The open land and high mountains around Qasigiannguit are a challenging hike but offer a worthwhile view of the bay. Spectacularly set along the North Yorkshire coastline is the pretty fishing village of Staithes. 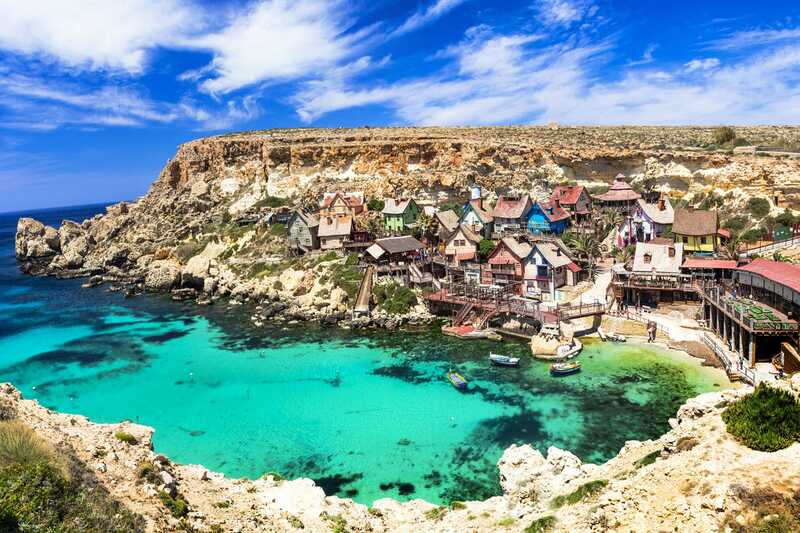 Colorful little cottages line the natural harbor and larger houses with multiple levels and varying colors stretch across the stunning clay cliffs overlooking the sea. 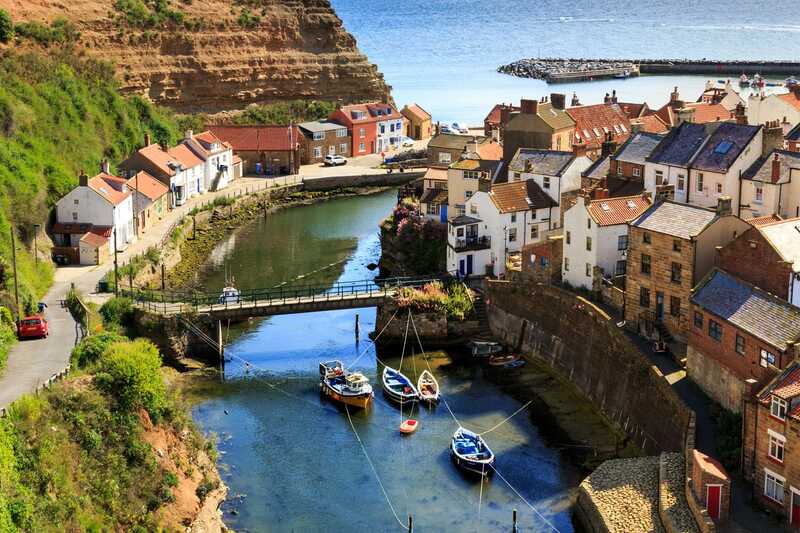 Staithes’ winding streets, natural harbor and impressive cliffs make the town a beautiful place to visit. Reconnect with nature, immerse yourself in centuries of history and learn intriguing local customs in any of the most beautiful towns in the world, all while taking in authentic rustic, romantic small town vibes first hand. Disclosure: Please note that some of the links above are affiliate links, and at no additional cost to you, we earn a small commission if you make a purchase. Affiliate links help pay for this site and keep the content free for you to read. We will never recommend products we do not believe in.